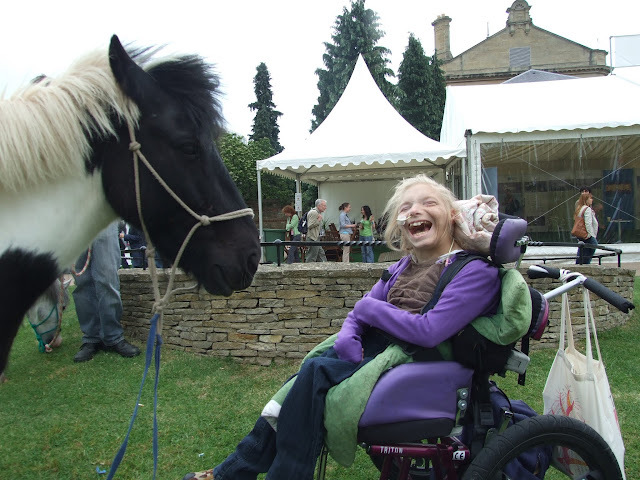 Pony Access provides SAFE all terrain access for people with disabilities, and provides access to ponies for all the people who don’t normally get to play with ponies. I never thought I would open the Pony Access website with quotes from David Cameron, the Prime Minister, Esther Mcvey, our Minister for Disabled People and the Department of Work and Pensions, but Pony Access provides exactly the services that they all want. make sure our beaches are more disabled-friendly. Here are the first three paragraphs of David Cameron’s speech, at the Disability Employment Conference on July 18th 2013. “Esther, thank you for that introduction. You’ve proved something that I’ve always thought to be true, which is you can take the person out of TV presentation, but you can’t take the TV presenter out of the person. You bring an enormous passion and energy to the job of being our Disability Minister, and I think you can be really proud of the work that you’re doing, and you’re doing a great job in government, and thank you. And I’m very passionate about this issue too. Give her a round of applause. I have a passion for this issue too. When you’ve had the privilege – and it is a privilege – of bringing up a profoundly disabled child, it is a complete eye opener. You suddenly realise that there aren’t just one set of places, or one set of offices, or one set of businesses, or one set of restaurants. You suddenly realise there are two different sets. There are those that are disabled-friendly, that are accessible, that are helpful; and those that aren’t accessible, that aren’t helpful, that aren’t friendly. And what this all about really, is greater equality in our country, making sure that all places, all businesses are more friendly, accessible and open to disabled people. Esther McVey said on the 20th August 2013 Open up seaside resorts to become more inclusive and woo the purple pound. The Department of Work and Pensions state, The Minister for Disabled People is writing to local authorities to ask them to ensure that tourist hotspots including beaches and the countryside are accessible to all of the population. Pony Access provides beach access for everyone. We don’t just help those with limited mobility who can use the Trampers supplied by Countryside Mobility Pony Access work with any manual wheelchair or electric wheelchair. People who can’t transfer to another vehicle, or who can’t operate the Tramper controls, can still go anywhere with Pony Access. Jim has a broken neck and is paralysed from the neck down, relies on his powered chair for mobility and Pony Access can take him anywhere, in his chair. Pony Access can work on the beach, in soft sand, on sand dunes, shingle, mud and deep water. Salt and sand make no difference to the powerplant, sand can’t get into the works, and no part of the pony ever rusts. The iBex is galvanised and thrives on extreme conditions. David Cameron, Esther McVey and the Government want for access to all these areas, for all people, whatever the level of disability. Pony Access provides the service. to please David Cameron, or Esther McVey, or the Department of Work and Pensions. I did it because people like to get to the beach, all people, regardless of ability. The grin says it all. He can do anything and he is black and white and it is the least relevant thing about him. And I got him January 2009 when President Obama was being inaugurated. My daughter would love to be able to go on the beach. Could you please give me details of your wonderful service? I am about to have a go at Parariding. Before I was in a wheelchair I was a competent rider. To me there is nothing like as good as being with horses, around horses and riding horses. I know not everyone has a disability where they could ride a horse. For those that can there is RDA and Parariding but those who can’t this is perfect and an excellent idea. I really commend you. Horses are incredibly theraputic, any animal is but I think Horses are absoloutely the best in terms of therapy animal as they offer tactile therapy, companionship therapy as well as activity which is also theraputic. Good luck with it, I hope you reach as many people as possible. Nice service! As a wheelchair-user I would LOVE to give this a go, although as an ex-eventer I thought the irrelevant dig at eventing was a little uncalled-for (the “boast” was not even written by an eventing or equine publication…and as such does not represent anyone associated with the sport). Saw you down on Exmouth Beach yesterday (15th March), was lovely to see and I got a lovely picture too but unfortunately you haven’t got an email address on here for me to send it too! Where do you live, Carmen. ?